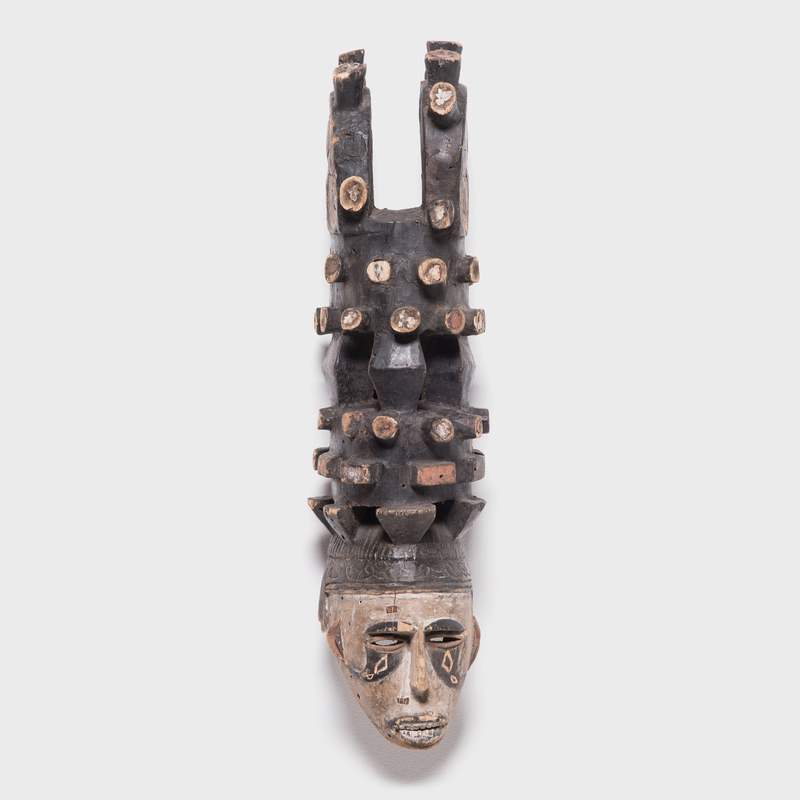 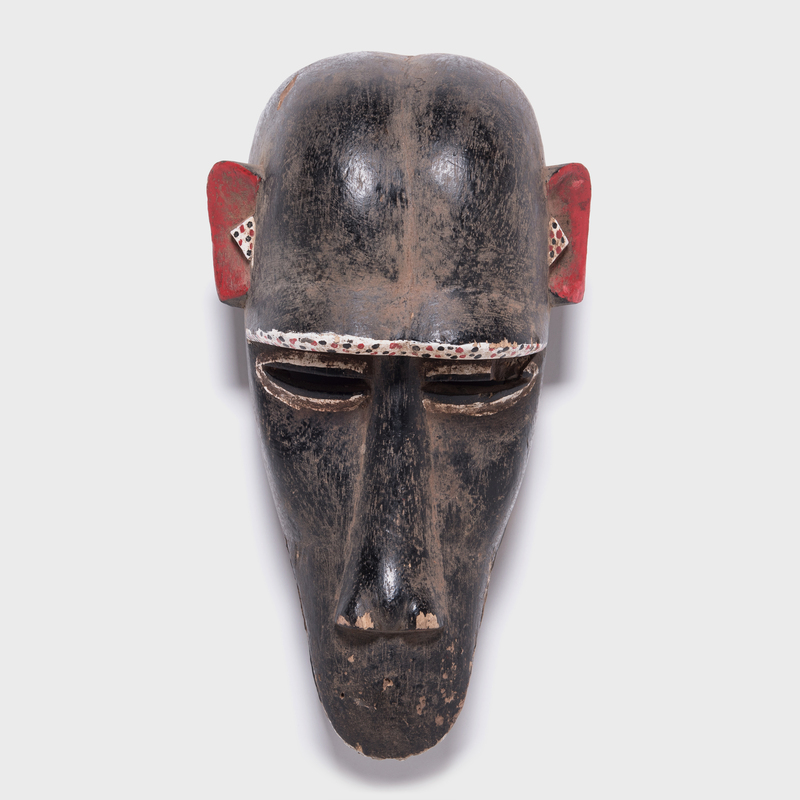 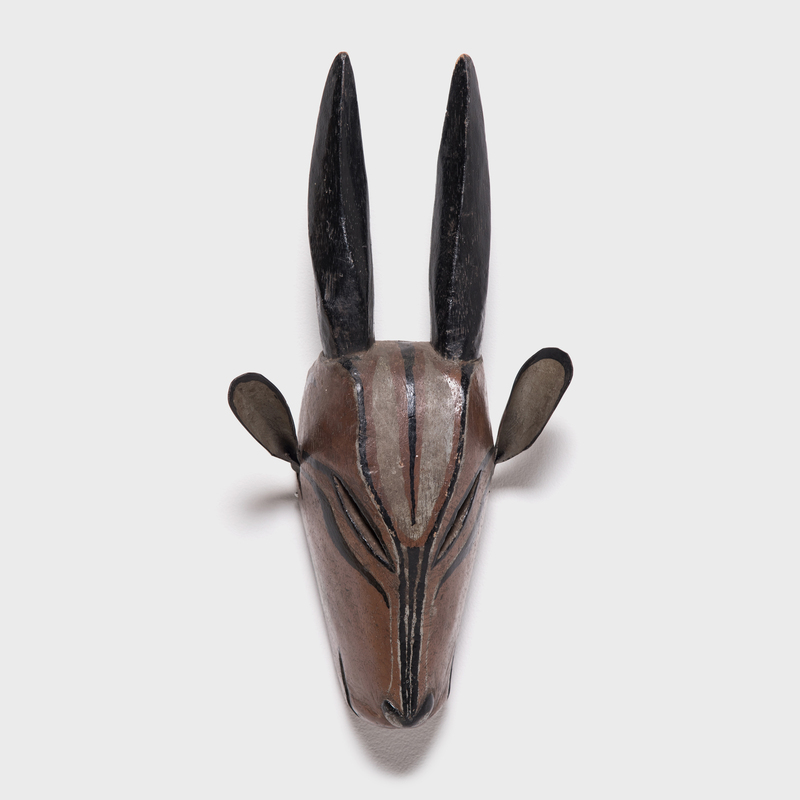 W: 14.0" D: 9.5" H: 26.5"
The blues, whites, grays, and browns of this double bird mask are a signature feature of master Mossi sculptors from Burkina Faso. 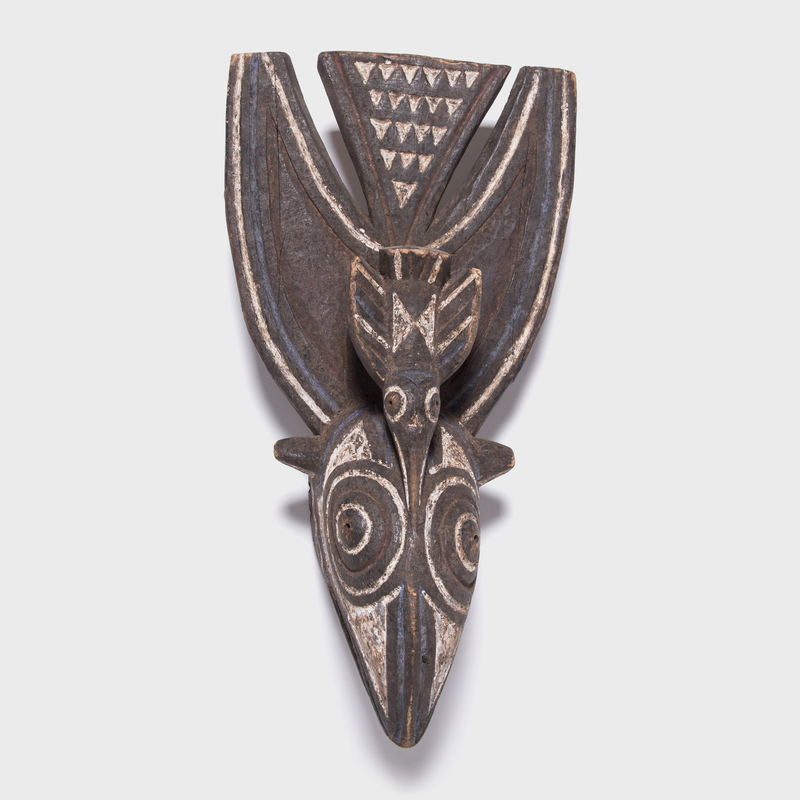 This double bird would have been a ritual dancing mask representing its owner's totemic animal. 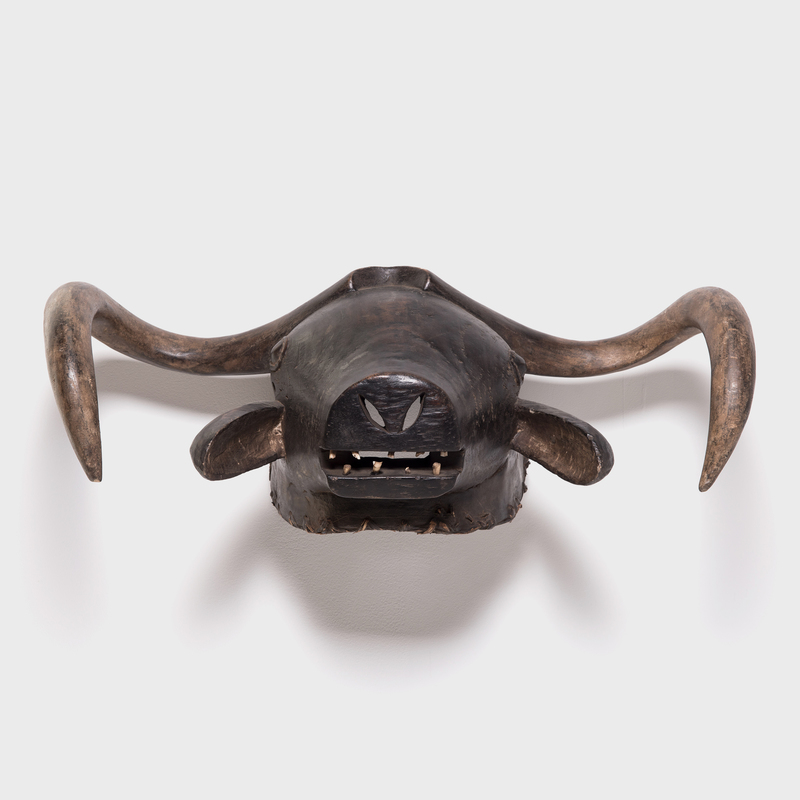 The organic geometry commands the eye, directing viewers to explore the finely wrought details of this entire sculptural object.